The Menninger Clinic was established in 1925 as a sanitariumwith the purchase of a farm house and admittance of 12 patients. Their philosophy was that mental illness could be treated with an integrated medical, psychodynamic, and developmental approach for the total health of patients. 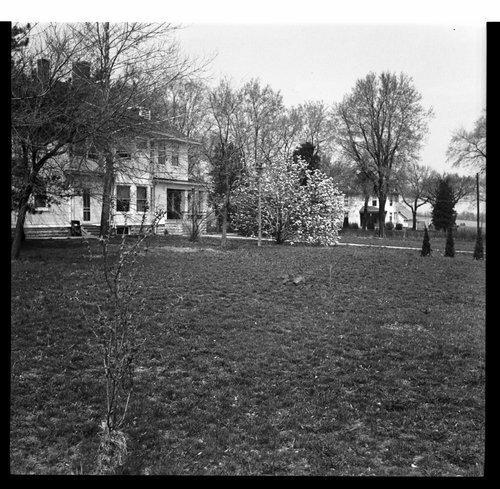 The farmhouse had belonged to Mr. and Mrs. W. C. Christenson. Note the vineyard in the left of the photo. There was an open porch on the north east corner of the home.